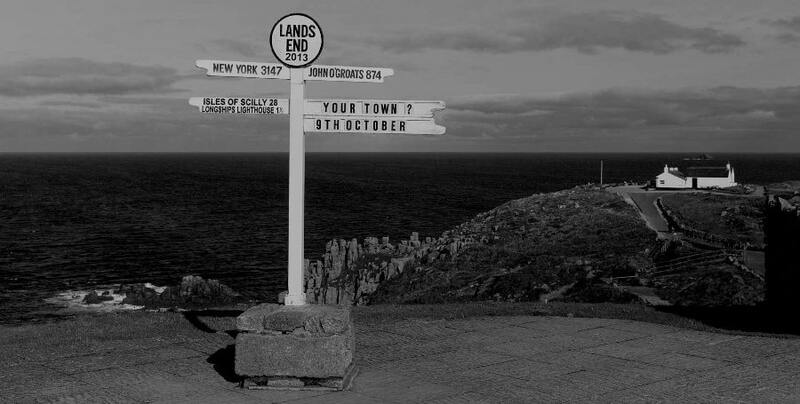 Cornwall is one area of the United Kingdom which is somehow very different from other parts of the country. It has a wild landscape and has long been steeped in mysterious tales of pirates, smugglers, magic and ghostly goings on! There are many ghost stories with a Cornwall connection ranging from the ghost of the famed Arthurian wizard, Merlin who is said to haunt a cave beneath Tintagel Castle to the many sightings of the so called Beast of Bodmin Moor which has been accused of savaging local livestock. Let’s take a look at the 7 of the most haunted places in Cornwall. Pengersick Castle has a rich history that spans five thousand years! The oldest remaining part of the castle is a four storey tower which was built in the sixteenth century as part of a fortified Tudor manor that was home to the notorious Pengersick Family. The Pengersick’s were well known for their murderous exploits especially those of their Patriarch Henry Pengersick who was to all intents and purposes something of a psychopath! Henry had a particular hatred for men of the cloth and was excommunicated from the church after killing a monk from Hailes Abbey who had come by to collect tithes. This is believed to be the spectral monk who is often sighted in the castle and the grounds. Henry was a violent man and his escapades have certainly left their mark on this building. Henry’s young wife, Engrina who he had chosen simply because she was the daughter of a family who owned the adjoining estate and he had plans to expand his empire by one day inheriting their lands too, is said to haunt the castle too. She roams the castle, but has a particular affinity for the master bedroom. Guests staying in this room frequently report waking in the early hours to see a ghostly woman staring out of the window. Some reports say that after a few minutes she turns and walks to the four poster bed where she lays down and writhes in agony clutching at her stomach before disappearing. The bedroom is also said to be haunted by another female spirit believed to be a maid. She often appears through the wall and stands by the bed, many believe it is the woman who perhaps nursed Engrina in her finally days, but there are no official records to support this and the two spirits rarely appear together. Other strange sightings around the castle include a spectral black cat, still chasing rats in the grounds, strange orbs of light, a white mist that seems to creep towards terrified visitors and even a demon dog with glowing red eyes! 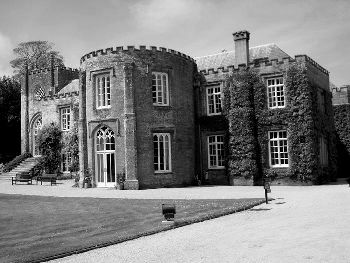 Without a doubt, Pengersick Castle is one of the most haunted places in Cornwall! 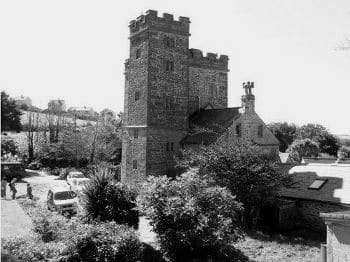 Kennal Vale is one of the less widely known haunted places in Cornwall. It is a hidden valley that lies in the countryside close to Falmouth. It was once the home of one of Britain’s largest gunpowder works which produced explosives for the mines in the area. 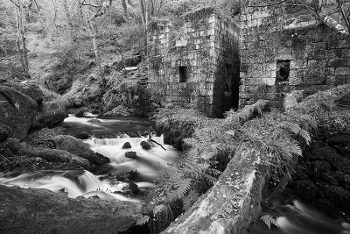 Kennal Vale is now a nature reserve, but you can still see the Rusty, moss covered water wheels and the ruins of the abandoned mill buildings. You will also find the information boards which detail the reasons for this area being haunted. In 1838 a terrible tragedy occurred where five of the mill buildings blew up in quick succession. One man, William Dunstan, died leaving behind a widow and ten children. His spirit is said to wander the ruins. 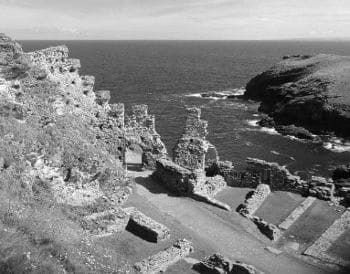 Of all of the Cornwall ghosts, those that are among the most famous are the ghosts of Tintagel. Why? Well, because of the connection to King Arthur! Tintagel is an area that is steeped in myths and legends. It is home to the ruins of a twelfth century castle said to be the home of King Arthur. There are said to be five resident ghosts tied to Tintagel. Three of theses ghosts are said to haunt the nearby Camelot House Hotel, often getting up to mischief such as knocking paintings off the walls, upturning the hotel bins and even waking guests in the night to give them bed baths! 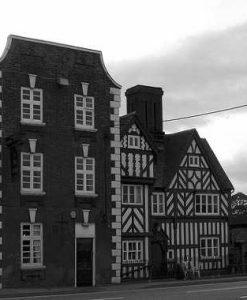 Another of the ghosts is said to be that of a former hotel employee who died in the forties and is seen walking the path from the hotel to his cottage – which was once owned by Kate Winslet! Finally, the most famous of the Tintagel ghosts is none other than King Arthur’s friend and mentor Merlin. The wizard is said to reside in a cave underneath the castle and is often spotted emerging from the cave speaking in unknown languages – perhaps casting spells on this magical area! Like so many other prison’s Bodmin Jail has a fairly dark and somewhat sinister past. It was built in 1778 and is best known for staging highly popular and very well attended public hangings outside the building up until 1862. 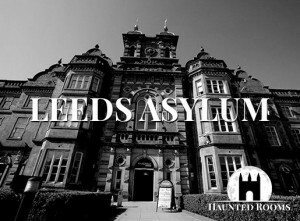 It is now a popular visitor attraction having been turned into a museum which details some of the most notable prisoners and their often grisly crimes. There is no doubt that the whole building has a creepy aura surrounding it, even when glimpsed from afar! Bodmin Jail has long been considered one of the most haunted places in Cornwall – if not the entire British Isles. If you venture down into the cold and gloomy passages and former prison cells then it is not difficult to understand why. Visitors frequently report being overcome with feelings of terror, misery and desolation upon entering the prison. 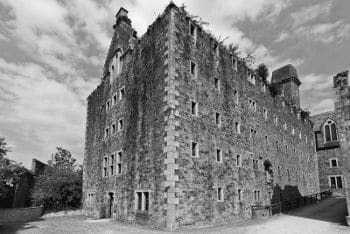 One of the most prolific ghosts seen in Bodmin Jail is the restless spirit of Selina Wedge. A woman executed in August 1878 for the murder of her son. Selina claimed that she was manipulated by her lover James Westwood to kill the boy, promising that they would be married if he was gone, but Westwood denied ever having made such claims. Selina is often reported wandering the jail, most often by young children. It is said that she reaches out to them and they will often ask their parents who the ‘crying lady in the long dress’ is and why she is so sad. However, it is not only children who feel Selina’s presence. It is said that pregnant women visiting the jail get very emotional on certain floors, apparently because Selina sensing another mother projects her feelings of guilt and remorse onto these women. Prideaux Place is an Elizabethan manor house which was completed around 1592. It has remained in the Prideaux-Brune family all this time. 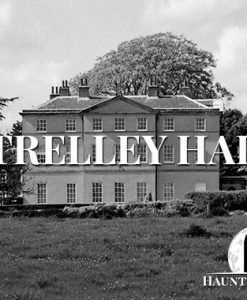 It has its fair share of paranormal activity including reports of a scullery boy seen running around the kitchen area and a woman in nineteenth century attire who sits and sews in the morning room. These spirits seem more like echoes of the past, but one of the ghosts is much more interactive with visitors. Honor Fortescue, the wife of Humphrey Prideaux threw herself from the upper balcony following the death of her beloved husband. Since then she has occupied her afterlife chasing visitors to Prideaux Palace out of the bedrooms! 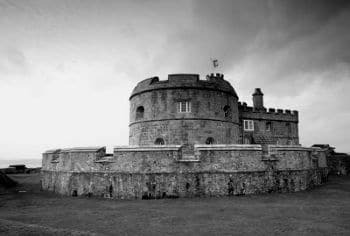 Pendennis Castle lies just outside of Falmouth and was constructed by Henry VIII in order to protect the Carrick Roads from French and Spanish invaders. In 1646, the castle was the focus of a well documented siege. The royal family were trapped inside for 6 months, forced to survive on horse and dog meat before finally surrendering. There are said to be several ghosts haunting the castle, but the most common reports are disembodied screams which are linked to a kitchen maid who fell to her death while carrying food to the family and also reports of heavy footsteps on a staircase that apparently no longer leads anywhere. 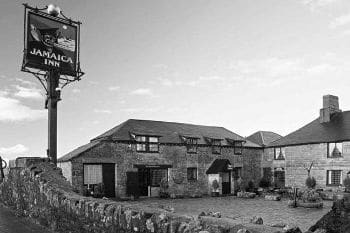 When it comes to haunted places in Cornwall, few are more famous than The Jamaica Inn. Originally built as a coaching house in 1750, The Jamaica Inn is located on the famous Bodmin Moor and is reputed to be one of the most haunted places in the whole of the United Kingdom. It has a colourful history as a smuggler’s den which has no doubt helped to contribute to the paranormal encounters that people are having today. Among the many spirits who haunt The Jamaica Inn one of the most well known is the very malevolent spirit of a highwayman in the traditional three cornered hat who is often sighted walking through doors. He seems to be the only spirit in the Jamaica Inn who is menacing in nature. Other reported sightings at the inn include a distressed young mother and her crying baby who seem to have become the permanent inhabitants of room five and also the ghost of a murdered young smuggler who is often reported walking in the courtyard at night or simply sitting forlornly against the front wall of the Jamaica Inn. Staff and visitors have also reported phantom hooves and cart wheels outside in the courtyard and mysterious footsteps walking the halls at night. There have also been reports of raised voices arguing in a foreign tongue – possibly old Cornish.